If you’ve been thinking about installing a new air conditioning system in your home, chances are you’re looking for one that’s energy efficient. In fact, one of the reasons people choose new air conditioning is so they can save money on their energy bills. Modern air conditioning systems are much more energy efficient than their counterparts from even 10 years ago. New technologies allow them to provide better cooling and lower energy use. Today’s air conditioning systems even use a more advanced refrigerant that is both more environmentally friendly and more energy efficient. As beneficial as new air conditioning can be for today’s consumers, it can also be confusing. There are many terms that can be hard for anyone without the technical expertise of most HVAC contractors to understand. You might wonder what these terms mean, or if they’re even important. That’s why it’s important for you to be educated as a consumer. When you know what terms like SEER or R-410A mean, you can make better decisions when it comes to purchasing air conditioning for your home. At Family Danz, we make it a priority to share knowledge with our customers, so you can make the most informed choice. That’s why we’re sharing some common air conditioning terms with you, as defined by ENERGY STAR. SEER: SEER stands for Seasonal Energy Efficiency Ratio. It’s used to measure the efficiency of an air conditioning system. The higher the SEER rating, the more efficient the system. SEER measures system efficiency over an entire season. We offer quality Bryant air conditioning systems with ratings up to 21 SEER, among the highest available on the market today. EER: Like SEER, EER, or Energy Efficiency Ratio, is used to measure the efficiency of air conditioning systems, but at the outdoor temperature of 95ºF. AC systems with a high SEER rating generally have a high EER rating as well. 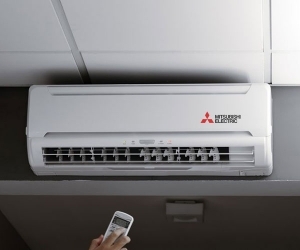 dB: One major complaint people have about air conditioning systems is that they tend to be noisy. dB, or decibel, is the amount of noise produced. Today’s systems run at much lower dB, many producing about the same noise as a vacuum running, or about 66 dB. Once you understand the terms surrounding air conditioning, it’s much easier to find a system that offers you everything you need. Energy efficiency, environmentally sound components and quiet operation are all important factors when it comes to selecting an AC system that will provide you with years of comfort at a lower cost. At Family Danz Heating & Cooling, we’re pleased to provide our customers with the best quality, most efficient air conditioning systems on the market. If you’re looking for a quiet, attractive and energy efficient air conditioner, call us at 518-427-8685 and we will be more than happy to help. With so many household expenses nowadays, it isn’t a surprise that homeowners are trying to cut corners and save money wherever they can. 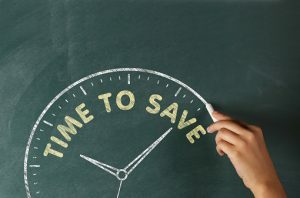 Many times, people are tempted to save money by putting their HVAC system maintenance on hold. But, the truth is, not getting your system’s annual preventive maintenance can be more costly in the end. What are the benefits of preventive maintenance for your air conditioning system, and how can Family Danz help meet your needs? The truth is, maintaining your AC system is one of the best ways you can ensure effective, efficient operation. Regular maintenance is important for the life of your system. Think of your automobile. What if you never got an oil change, or new filters, or new tires? What if you never took it to the carwash or made minor repairs when they sprung up? As you can imagine, your car or truck probably wouldn’t last too long. Your home comfort system works in a similar way. 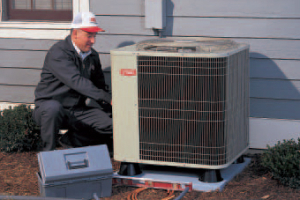 You have motors, fans, filters, fluids and electrical components that all need to be maintained properly in order to ensure your AC system enjoys a long life. But isn’t AC maintenance expensive? And, you may be surprised to learn that proper maintenance often pays for itself. Your air conditioning system will run far more efficiently if it has been maintained regularly, and that will help you save money on your utility bills. Plus, you’ll have to deal with fewer system breakdowns and expensive repairs. Regular maintenance means one of our technicians will be able to check your system thoroughly and take care of any small repairs before they become major ones – and that will save you money in the long run. A more subtle effect of a properly maintained AC system is not visible to the eyes, but the chances are your nose knows. Homes that have the right maintenance have healthier air, because filters are changed an air coils are cleaned. When your system isn’t maintained, it can become a repository for dirt, mold and bacteria – and that can quickly cause your home’s air to take an unhealthy turn for the worst. 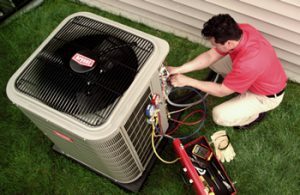 Can AC maintenance help my system last longer? 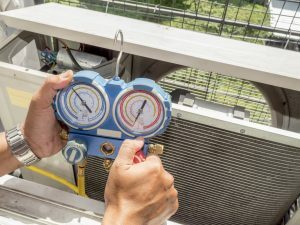 Of course, one of the biggest benefits of making sure your AC system gets the annual maintenance it needs is that your system will last longer. Let’s face it – like your vehicle, your HVAC system is a necessary, but large, expense. You want to get the most out of your system and make sure it lasts you a long time. Properly maintained systems enjoy a much longer lifespan than their neglected counterparts – often more than 10 years. And, should an emergency arise with your system, when you have a maintenance plan from Family Danz, we will be there to help you. Our maintenance plan customers receive priority scheduling for emergency services, a 15 percent discount on parts and labor, 24-hour emergency service and no overtime rates. So aside from a comprehensive annual maintenance that will keep your system running smoothly for years, we’ll also be there to help if you have any repair needs, too. As you can see, preventive maintenance is important to the life and efficiency of your home’s air conditioning system. Family Danz can help you get the maintenance you need for the life of your system. Just give us a call at us at 518.427.8685 and we will be happy to help you get the preventive maintenance you need. The colder weather is winding down, and summer’s not quite here yet, so new air conditioning or heating probably isn’t at the top of your list – but this month is the perfect time to get it. Right now, through March 31, we’ve pulled out all the stops and are ready to help you get into a heating or cooling system that can keep your home more comfortable and can save you money on energy bills. If you’ve been thinking about replacing your old, inefficient home comfort system with a new, high-efficiency system, there is no better time than the present. We realize you may not need a new furnace or air conditioner, and if you don’t, no discount is going to make sense. But, if your system is more than 10 years old, this could be the opportunity of a lifetime. These all come together to equal $3109 in savings for you. Combine this offer with special financing with approved credit, and a 10-year system warranty, and you have one amazing deal. This will be our best offer all year, but you have to act quickly to get these great March sale savings. It all ends March 31, 2017 so call us at 518.427.8685 to learn how you can take advantage of this offer today. If it’s time to replace your old heating system, you might be considering converting from oil to gas heat. There are many good reasons why you should, but you might be a little bit unsure about the process. Every home has its own unique needs when it comes to oil to gas conversion, but the steps followed are usually pretty similar. Family Danz knows that switching from oil to gas heating can be confusing, so we work with you and the utility company to get the job done right. What is the process involved with an oil to gas conversion? When you contact us to discuss your oil to gas conversion, we’ll make an appointment to visit your home. We’ll determine the type of equipment you’ll need, and we’ll contact your utility company to let them know how much gas your home will be using. 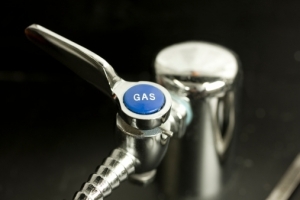 The utility company will them provide an estimate for the installation of gas service to your home. We’ll then work with the utility company to get your new gas equipment installed, as well as any needed extensions, service connections and metering equipment. Finally, your utility company will turn on your gas service, and you’ll soon be enjoying gas heating in your home. What are some benefits of gas heat? From an environmental standpoint, natural gas is a cleaner fuel source, and that makes it better for the world around us. It offers an efficient, safe and reliable source of fuel, is economically sound and clean burning. It burns almost 100 percent of its fuel and there is no leftover residue, odor or soot. By converting to natural gas, you’ll help reduce greenhouse has emissions of sulfur, carbon and nitrogen. Not to mention, choosing natural gas to heat your home can improve the outdoor air quality of your entire community, by reducing smog, acid rain and gas emissions. Why choose Family Danz for your oil to gas conversion? 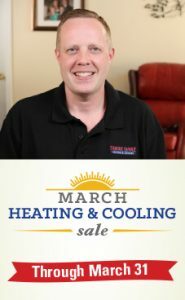 Family Danz Heating & Cooling is committed to helping customers take advantage of the best home comfort products on the market today. We also work hard to help you achieve higher efficiency from the heating and cooling products you use in your home, so that you can save on your energy bills. We are here to help you, which is why we facilitate your oil to gas conversion so the process goes as smoothly as possible, so you’ll quickly enjoy greater home comfort and energy efficiency. If you’d like to learn more about oil to gas conversion, and if it’s a good choice for your home, please don’t hesitate to give Family Danz a call. We provide heating services including oil to gas conversions throughout the Albany, NY area, and we are happy to discuss the benefits of a conversion with you. To find out more from our experts, just give us a call at 518-427-8685, and we will be more than happy to help you with your needs. Have you been thinking about having a new heating system installed in your home, but you’re not sure if you want to make the investment? If you have an older system that doesn’t run as effectively or as efficiently as it used to, it may very well be a worthy investment. ENERGY STAR offers some tips on how to know when it’s time to make that replacement. Age of Equipment: If your furnace or boiler is more than 15 years old, it is likely time to start thinking about replacing. 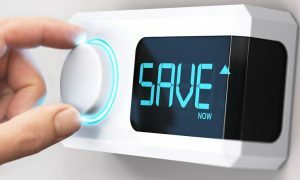 Today’s newer, more energy-efficient models are generally at least 15 percent more efficient than furnaces from a decade or more ago. ENERGY STAR qualified equipment like the Bryant Evolution® variable speed gas furnace is up to 98 percent efficient – and that can mean big savings if you use it to replace your older furnace. 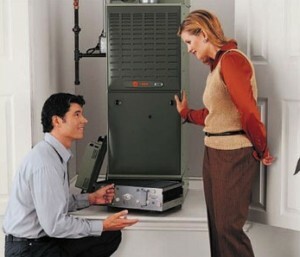 Repair Woes: Was your furnace or boiler in need of repairs on a frequent basis last winter? Were your energy bills on the rise? These two factors when coupled together likely mean it’s time for a new heating system installation. 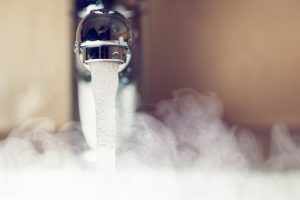 Dry Winters: If the air in your home has been noticeably drier the past couple of winters, it could be the result of poor equipment operation or inadequate equipment. Hot spots in your home – areas where it seems like all the heat from your furnace has concentrated – can also indicate that your equipment could be operating inadequately. Of course, there are other culprits besides your heating equipment that could be causing a spike in your utility bills and a decrease in home comfort. Poor insulation, leaky ducts and drafty doors and windows can all cause home comfort concerns, both in the summer and the winter. The best way to find out if your furnace is operating properly or if something else might be causing comfort issues in your home is by calling a qualified HVAC contractor. They will be able to help you determine whether your heating system needs replacement or if there are other problems in your home. At Family Danz, we take the comfort of our customers very seriously – that’s how we’ve stayed in business for more than 30 years. We will be happy to help you with your home heating needs, including a new heating system installation. We’ll meet your needs professionally, cost effectively and efficiently. Call us today at (518) 427-8685 and discover what it means to receive an exceptional level of service. Spring is right around the corner, and while you’re probably not ready to run your air conditioner yet, you may be thinking about getting it ready for the warmer weather ahead. Preventive maintenance is a very important part of keeping your air conditioning system running its best and most efficient. And, when you have your air conditioner serviced on an annual basis, you’re also ensuring that it enjoys a longer life – and who doesn’t want their home comfort equipment to last as long as it possibly can? And scheduling your annual preventive maintenance appointment with us is easy. You can either give us a call at 518-427-8685 or fill out our convenient online contact form, and one of our friendly representatives will be happy to help you set up your appointment with us.